If you're working with music for commercials, the terms ”style-alikes” and ”sound-alikes should ring a bell. We've taken a closer look at the pros and cons of these two creative methods. Sound-alikes are best described as a compositions that resemble known, famous and precomposed compositions or songs. These usually keep some of the elements of the original compositions such as instruments, style and tempo to ensure that the song is as recognizable as possible. A sound-alike walks on the fine line between breaching the copyright of the original composition and being a brand new track. And that's exactly where things get complicated. The melody is a given. Of course you can't just copy the entire melody. However, you can get inspired by certain elements in it, and sometimes it’s just a matter of bending the notes while blending them with a new composition. The lyrics are handled differently. You should never reuse phrases and uniquely used words from another song. This means that you'll have to write your own lyrics. That doesn't mean that you can't sing about something similar though. Let's say you want to produce a sound-alike of "Baby" by Justin Bieber. You could try to do it, but you can't use the word "baby", or similar words such as "honey", in the chorus. You'd have to use a completely different word if you want the song to stick to a one-word chorus. However, making a sound-alike of an extremely popular song is generally a bad idea. Famous songs are easier spotted by the general public and by, more importantly, the right holders of the song. 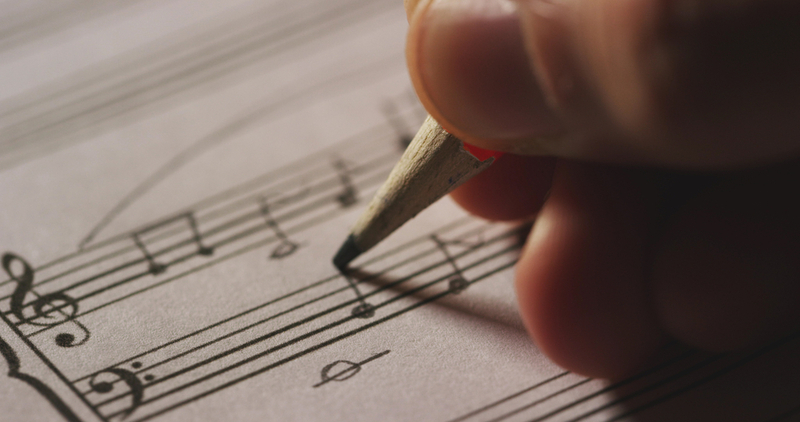 Remember: the goal is to make the composition sound similar to a specific song while not producing a cover. A style-alike focuses on the style of the song and more or less ignores the original melody. In a style-alike, the style of the song is based on the instruments, tempo and mood. The composer's main task is to capture the feelings the song evokes in you when you listen to the original song. Therefore a style-alike is often more original than a sound-alike as it does not necessarily resemble the original melody of the chosen song. The obvious drawback is the loss of recognition and brand value. Often times there's little left of the original melody to make the consumers recognize the new composition as something they've heard before and love. The consumer's strong connection with the song, and therefore the production, is therefore severely weakened. There are, of course, pros and cons for both solutions. You have to choose a style-alike if you're looking for a completely original and unique song. A sound-alike can be quite unique too, but not nearly as much as a style-alike. However, a sound-alike possesses the power of recognition, but a recognized song is not always a positive thing. The power of a hit song in a commercial context is determined by the viewer's point of reference. If the consumer knows the song extremely well already, chances are that your brand won't be the first thing they think about when they hear the son anyway. Composers will have more creative freedom when working on a style-alike as these projects aren't defined by a specific melody. A style-alike seldom ventures into the copyright danger zone as music genres, moods and themes are not protected by copyright. This means that the style-alike is a somewhat safer alternative.